It’s Saturday night, and I’m stuck at home. So, naturally, I’m reading publishers’ catalogues. Currently, I’m reading Hodder Books’ Spring 2014 catalogue, which means I’ve got more information on a number of books that I’m excited to read this year. The Truth is only the beginning. The Noah: a city-sized ship, half-way through an eight hundred year voyage to another planet. In a world where deeds, and even thoughts, cannot be kept secret, a man is murdered; his body so ruined that his identity must be established from DNA evidence. Within hours, all trace of the crime is swept away, hidden as though it never happened. Hana Dempsey, a mid-level bureaucrat genetically modified to use the Noah’s telepathic internet, begins to investigate. Her search for the truth will uncover the impossible: a serial killer who has been operating on board for a lifetime… if not longer. The Forever Watch is due to be published on March 20th 2014 in the UK by Hodder, and April 22nd 2014 in the US by Thomas Dunne. 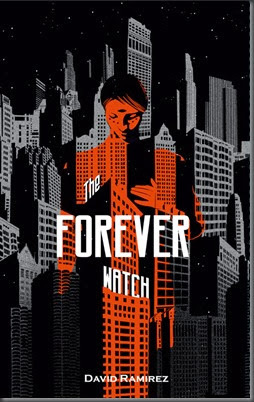 Update: Just been informed by Hodder that The Forever Watch has been pushed back to a May 1st publication. 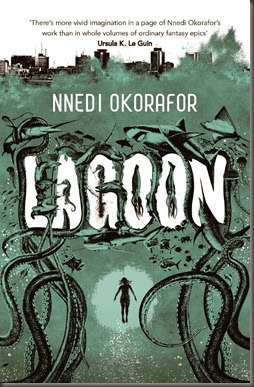 Three strangers, each isolated by his or her own problems: Adaora, the marine biologist. Anthony, the rapper, famous throughout Africa. Agu, the troubled soldier. Each wandering Bar Beach in Lagos, they’re more alone than they’ve ever been before. But when a meteorite plunges into the ocean and a tidal wave overcomes them, these three people will find themselves bound together in ways they could never have imagined. Together with Ayodele, a visitor from beyond the stars, they must race through Lagos and against time itself in order to save the city, the world, and themselves. Love that Joey Hi-Fi cover… Lagoon is due to be published by Hodder in the UK and US in April 2014. 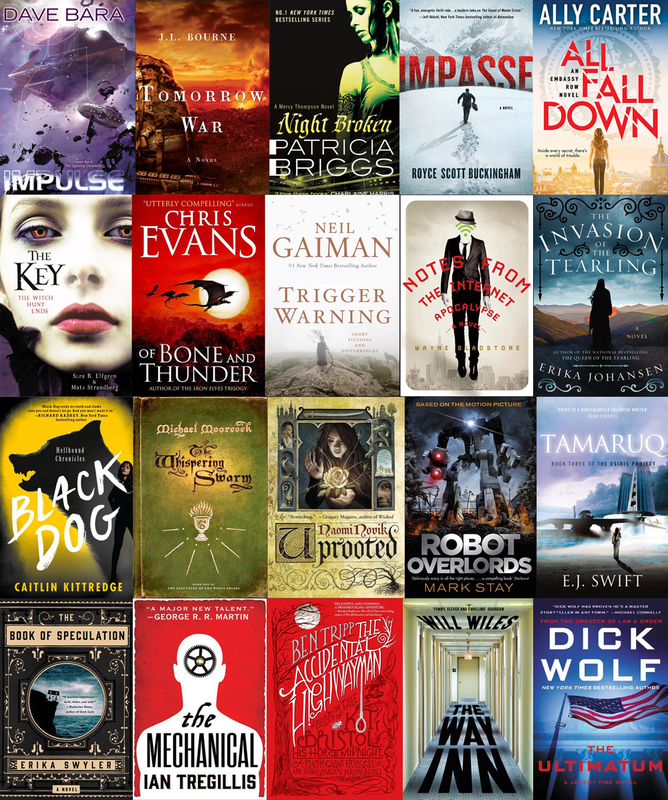 For more on Hodder Books’ science fiction, fantasy and horror publishing, be sure to check out the Hodderscape website. 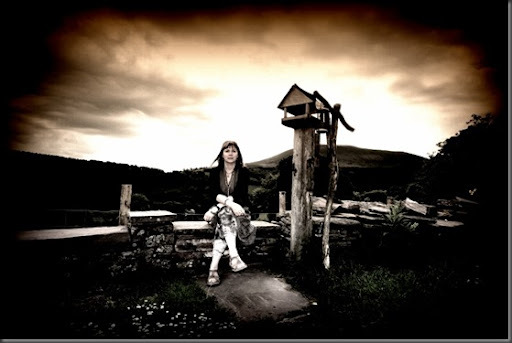 Paula Brackston lives in a wild, mountainous part of Wales. She is an author and Visiting Lecturer. Before becoming a writer, Paula tried her hand at various career paths, with mixed success. These included working as a groom on a racing yard, as a travel agent, a secretary, an English teacher, and a goat herd. Everyone involved (particularly the goats) is very relieved that she has now found a job she is actually able to do properly – and that is, write fiction. Her latest ‘series’ is The Shadow Chronicles, the second book of which – The Winter Witch – is published tomorrow in the UK. A descendent of the Witches of the Blue Well, possessed of dangerous magic and ancient knowledge, cunningly disguised as an ordinary mortal, mother of two, walker of the dog, maker of meals, who also writes a bit. 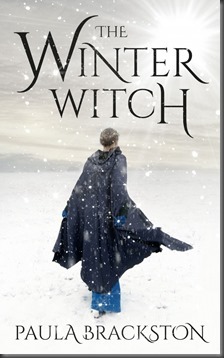 The Winter Witch, the sequel to The Witch’s Daughter, will be published tomorrow by Constable & Robinson. How would you introduce the series to a potential reader, and what can fans of the first expect in the second? Ah, well, you see, there are no sequels, as yet. Each book in The Shadow Chronicles is a stand alone. They have in common an exploration of witches through the ages, following the experiences of a witch as the main character. 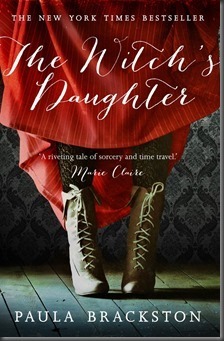 All kinds of witches, in different eras and settings, each with their own distinct magic and story. I live in the Brecon Beacons National Park, so I wake up each day to the most inspirational landscape you could imagine. That certainly formed the basis of not just the setting for The Winter Witch, but the characters such a place produces too. More generally, I am inspired by wilderness and wildness, by individuals who make their own way in the world, and by courage. Particularly courage, I think, as I am such a timid creature. I love inhabiting brave characters who overcome adversity. It makes me feel stronger, and I hope that works for my readers as well. As a reader I have never made a distinction between categories of fiction. I struggle with the whole idea of literary and commercial being two different things – surely a good book is a good book? That books will be written about different things, in various styles, traditions and settings, is what makes reading such an exciting experience. Which is how I feel about writing, too. When I’m working on a story I don’t think about how it will sit in a certain genre, or how it will be seen. I am interested only in the story, and I strive to find the best way I can to tell it. The placing, categorising, and marketing of the finished thing I leave up to people who understand such things far better than I do. How do you enjoy being a writer and working within the publishing industry? Do you have any specific working, writing, researching practices? I have the best job in the world! Maybe not the most important, prestigious, or well paid, but still the best. I get to spend all day dreaming things up and then writing them down, creating my own little world and peopling it with characters that move me, having them dash about doing all manner of stuff I’d never dare do. All this and shortbread – what’s not to like? I’ve always written, but it took me years to believe I could actually Be A Writer. Still feels strange when I tell people how it is I make my living and what it is I do. The turning point came when I was living and working in London and missing the mountains very much. I came up with a plan to ride a horse around Wales for a month or so and write about it. I pitched the idea to some publishers and one commissioned it. I had to breathe into a paper bag for a bit when I realised this meant I had to give up my job and my home, leave the city, find a horse, do the actual trekking and then write a Proper-Book-Someone-Might-Actually-Want-To-Buy. It all turned out rather well. The trek was a blast, the book found a small but appreciative readership, I relocated permanently to Wales, and somehow I had become a writer. There seemed no going back after that. What other projects are you working on, and what do you have currently in the pipeline? If I listed them all you’d mark me down as some sort of butterfly-brained lunatic, so I’ll cherry pick. I’ve just started another Shadow Chronicles book. I love this stage of the process, as it’s all hope and expectation and excitement and hasn’t yet had a chance to be nibbled at by doubt and uncertainty. 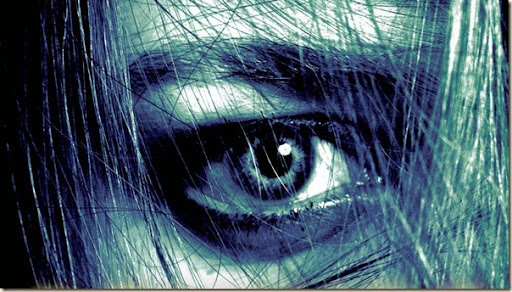 I’m also putting together ideas for books three and four in my fantasy-crime series, but that’s another interview entirely! And I’ve just had one of my screenplays short-listed for some production funding, so there will be work to be done there, too. I’m currently half way through The Luminaries (by Eleanor Catton) and loving it, though I am having to pay very close attention to keep up. It thoroughly deserves its place as a Booker Prize contender. Last month I read and enjoyed The Potter’s Hand (gorgeous) by A.N. Wilson, May We Be Forgiven (deceptively deep) by A.M. Homes, and An Evening of Long Goodbyes (brilliantly funny) by Paul Murray. In my twenties, I spent a year at an agricultural college learning how to drive tractors and train racehorses. Neither skill seems particularly useful at the moment, but I don’t like to think of time being wasted, so you can reliably expect both activities to pop up in my books at some point. Ooh, what to pick? What to pick? There’s the publication of The Winter Witch in the UK right about now; The Witch’s Daughter coming out in paperback here in December; the German edition of the first in my fantasy-crime series due out just before Christmas; my next witchy book, The Midnight Witch, is out in hardback in the USA in March; I’m thoroughly enjoying writing the fourth book of The Shadow Chronicles at the moment…. I should imagine a little lie down sometime next summer would be very nice indeed. 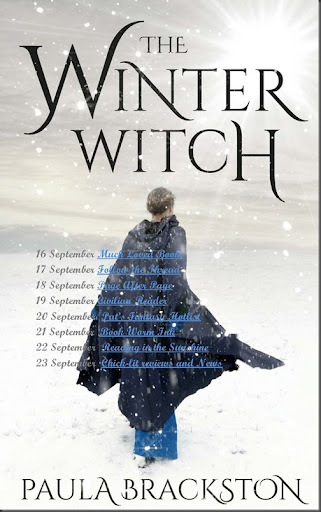 The Winter Witch is published by Corsair in the UK and Thomas Dunne Books in the US. To find out more about Paula Brackston and her novels, be sure to visit her website. Recruited by a foreign power in postwar Paris and sent to Washington, Winston Bates is without training or talent. He might be a walking definition of the anti-spy. Yet he makes his way onto the staff of the powerful Senator Richard Russell, head of the Armed Services Committee. 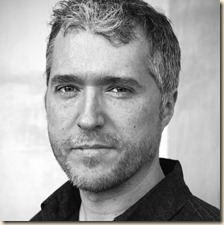 From that perch, Bates has extensive and revealing contacts with the Dulles brothers, Richard Bissell, Richard Helms, Lyndon Johnson, Joe Alsop, Walter Lippman, Roy Cohn, and even Ollie North to name but a few of the historical players in the American experience Winston befriends — and haplessly betrays for a quarter century. A comedy of manners set within the circles of power and information, Peter Warner’s The Mole is a witty social history of Washington in the latter half of the twentieth century that presents the question: How much damage can be done by the wrong person in the right place at the right time? Written as Winston’s memoir, The Mole details the American Century from an angle definitely off center. From Suez, the U-2 Crash, the Bay of Pigs, Vietnam, and Watergate, the novel is richly and factually detailed, marvelously convincing, and offers the reader a slightly subversive character searching for identity and meaning (as well as his elusive handler) in a heady time during one of history’s most defining eras. 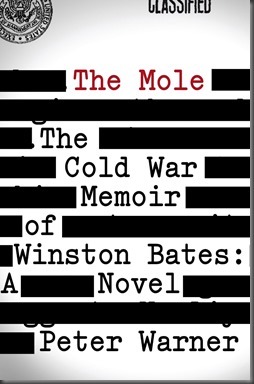 Peter Warner’s The Mole: The Cold War Memoir of Winston Bates is due to be published in October 2013 in the US, by Thomas Dunne Books. Let’s start with an introduction: Who is Seth Patrick? I’m a games programmer by day (on the Total War strategy series for PC), writer by night; father of two; book fan, movie fan, comic fan. Usually lacking sleep. I thought we’d start with your fiction: Your debut novel, Reviver, was recently published by Macmillan. How would you introduce the novel to a potential reader? Is it part of a series? 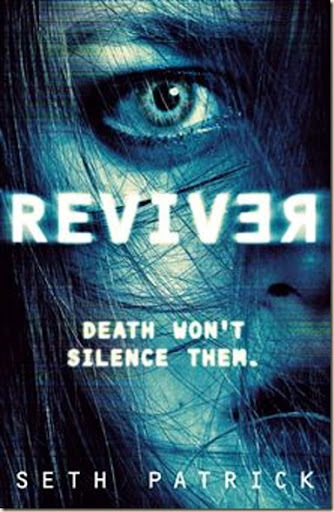 Reviver is a supernatural crime thriller, the first of a trilogy, set in a world where some people have found they have the ability to revive the recently dead, but only briefly. Just long enough for their loved ones to say goodbye, but – more importantly for the novel – for forensic specialists to learn as much from murder victims as they can. Jonah Miller is a young forensic reviver, one of the best working for the Forensic Revival Service in the US. While reviving the victim of a brutal murder, he encounters something terrifying that makes him question everything he knows. The novel began in a creative writing class hosted by the crime author Peter James, back in 2004. At the time, Peter’s background had been as a horror writer, but he was just launching his first crime novel, a transition that showed in the homework he set the class for the first week: write the first page of a horror novel, introducing your protagonist and a murder weapon. I wrote the first page of Reviver, and it’s hardly changed since. The idea itself came from the discovery that I share my birthday with Edgar Allan Poe. 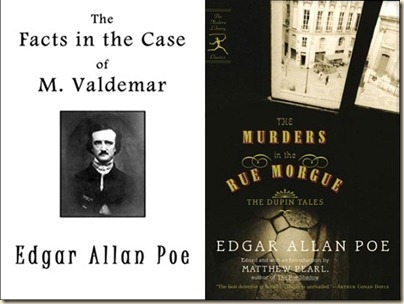 Two Poe tales came to mind: The Facts in the Case of Monsieur Valdemar, in which the terminally ill Valdemar is hypnotised at the point of death, but continues to speak long after he’s died; and Murders in the Rue Morgue, widely considered to be the first modern detective fiction. These two stories fused, and I had an image of the detective from Murders in the Rue Morgue interviewing the dead Valdemar. In general, my inspiration is almost entirely from being a constant daydreamer. My mind likes to wander, and continually slams disparate ideas together with absolute glee. I end up with a palette of images and scenarios, snippets of story that I can then use to forge a narrative. My first big reading frenzy started when I was eight, in a bookshop for a Tom Baker signing, where I bought Doctor Who and the Giant Robot. That led to me ploughing through a million Doctor Who novelisations, and 2000AD, then moving on to Stephen King, Greg Bear, Arthur C Clarke, Clive Barker, Alan Moore. I’m still a total noob, and awed by every aspect of the process. It’s great to meet so many people with such a love of books, and it’s a huge thrill to hang out with other authors. I’m only on my second novel, and with Reviver I was winging it, learning the craft as I went, so my working method is evolving pretty fast – it has to, really, since the first book took me six years to write, but each of the sequels have less than a year. But I’m still winging it. It’s fun. As a ten year old kid, my favourite homework was always when we could write anything we chose. I’d have asteroid impacts, or being shrunk to the size of a Lego man, all in four sides of scrawled handwriting. As I got older, doing it in my own time, I struggled to finish anything and had no confidence in what I turned out. Really, I just didn’t appreciate how much work had to be put in after the point I thought something ‘finished’. I ended up trying out other forms, like screenwriting, and my first taste of success was being shortlisted for a BBC competition, with a ghost story screenplay. I’m proud of it; some of the ideas for Reviver were harvested from there. Reviver is a blend of the Horror, SF and Crime genres, but I’m far more a fan of Horror and SF than crime. I think that’s just because of the total freedom to explore interesting ideas. Today, genre fiction is strong and varied, possibly more so than it’s ever been. There’s a certain confidence in the field, too; there’s also a degree of insecurity, which means that the old argument about genre-vs.-literary keeps rearing its head. It stems from the long-standing cold shoulder that genre novels get from the mainstream press, but rather than engage with the underlying reasons for that, some try to push the idea that novels can be both genre and literary, as if that’s the important thing. It drives me mad, certainly, when ‘literary’ notions are presented as the only thing of any real value, yet are largely equated with being difficult or inaccessible. I’ve no problem with people who rate style and tone over plot and pacing, even to an extreme – that’s when personal taste comes into it – but trying to have genre recognised as having that rather limited kind of merit seems to miss the point of just how wide-ranging its merits actually are. Genre fiction is easily strong enough to stand on its own terms, chock-full of intelligent and exciting fiction that covers all tastes. My own work is firmly at the accessible and entertaining end, of course, but genre really does have it all. Right now, books two and three of Reviver are taking up my full attention, but like I said, I’m a constant daydreamer. I have a few notions for what follows Reviver, enough to know that picking just one will be tough. 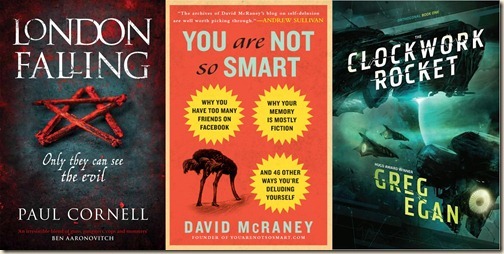 I’ve just finished the excellent London Falling by Paul Cornell, I’m nearly through the also-excellent You Are Not So Smart by David McRaney, and next up for me is Greg Egan’s The Clockwork Rocket. One of my top five movies is Muppet Christmas Carol. My absolute favourite is John Carpenter’s The Thing, though. Less of a surprise. One final question: What are you most looking forward to in the next twelve months? It’s going to be busy! Hopefully, there’ll be movement on the Reviver movie; I’ll have finished Book Three, seen Book Two out in hardback, and Book One will be in paperback. I’m also going to the World Fantasy Convention in Brighton in October, by which time I may have convinced myself that this is all real. Be sure to check out Seth’s website and Twitter for more information about his books and writing. Reviver is out now, published in the UK by Macmillan and Thomas Dunne in the US.